The latest round of privacy scandals at Facebook might have been enough to crush a lesser company, but not this social media giant — at least not where small businesses are concerned. 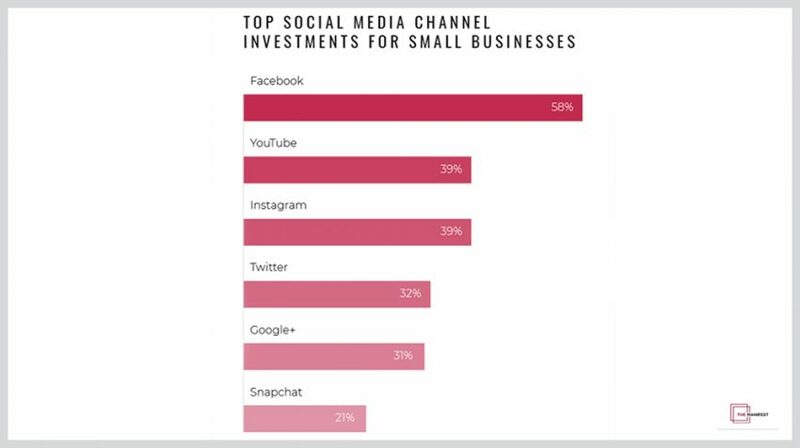 As a matter of fact, a new survey by The Manifest titled, How Small Businesses Invest in Social Media in 2018 has revealed 58 percent of respondents plan to increase their marketing investment in Facebook. In addition to the Cambridge Analytica fiasco, Facebook also admitted it scanned Messenger and was collecting massive amounts of data about its users. But all of this didn’t affect its user base or bottom line. Facebook’s Q1 2018 earnings report beat Wall Street’s revenue estimate with $11.79 billion while adding 48 million daily active users to boot. 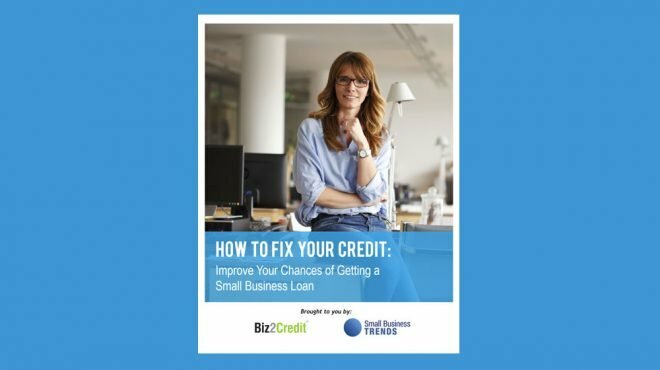 For small businesses, this is great news because 80 percent of them use Facebook for their marketing. What’s more, the Manifest surveyed 351 of these small business owners and managers across the US and found 92 percent plan to invest more time and money on social media in 2018. How Are Small Businesses Investing in Social Media? First it is important to repeat 92% of small businesses in 2018 plan to increase their investment in at least one social media platform. And when it comes time to make this investment, Facebook is the number one choice with 58% of respondents. Facebook is followed by YouTube and Instagram at 39%, and Twitter at 32 percent. An amazing 31% still say they would invest in Google+. Snapchat is also still relevant for a certain demographic with 21% of respondents said they would invest their marketing dollars there. 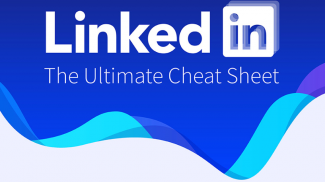 The reason social media is a good investment for small businesses at this time is that it provides measurable metrics that can be analyzed and acted upon. When it comes to the most important metric for the business owners 20% said engagement and 19 percent indicated audience growth, according to the survey. 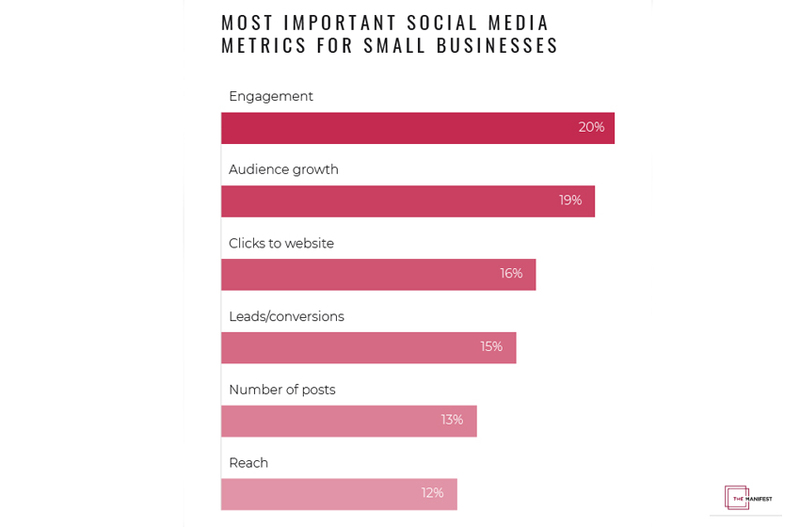 Other important metrics for small business owners and managers included clicks to website at 16%, leads or conversions at 15%, number of posts at 13% and reach at 12%. 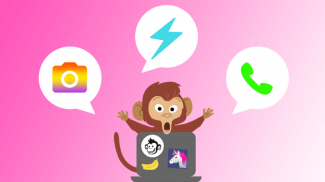 Regarding the kinds of resources small businesses use to manage their social media marketing efforts, 53% said they use in-house staff while 33% of respondents each said they used software, freelancers or consultants. Only 24% said they used digital marketing or social media marketing agencies to maintain their online social presence. You can read the rest of the report on The Manifest here. There is no other ad platform that is as targeted as Facebook. Other platforms can give you searches. But this gives you specific data about your target market.